Karim Benzema is being monitored by Louis van Gaal, with the Real Madrid player viewed by the Manchester United manager as an answer to their goalscoring problems. If he does decide to make a move for the striker, who would cost in the region of £40m, they may have to fight off interest from Arsenal. The United goalkeeper David De Gea, who is valued at up to £30m, could well be used as a makeweight in any deal. Although Benzema signed a five-year contract last summer there is widespread uncertainty at Real now that Carlo Ancelotti has been sacked as head coach. Rafael Benítez, who is leaving Napoli at the end of the season, is considered the favourite to replace the Italian at the Bernabéu and several Real players’ futures are in doubt, which may make it easier for Van Gaal to land Benzema should he firm up his interest. Benzema, who scored 22 goals in 46 Real appearances this season and had 10 assists, is an established France international. At the Bernabéu he has won the Champions League, La Liga, the Copa Del Rey, the Spanish Super Cup, the Uefa Super Cup and the Fifa Club World Cup. At Lyon he also won four French titles. 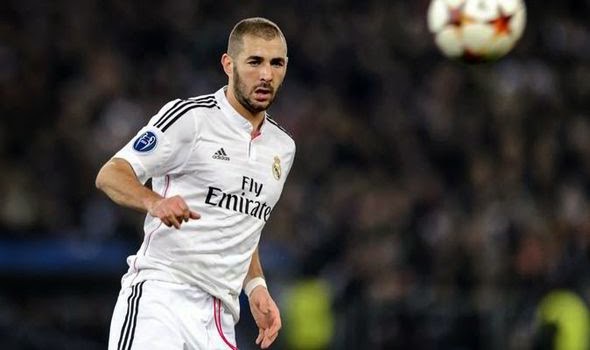 Now aged 27, Benzema also appeared at two European Championships and two World Cups and while considered to be at his peak, he would be expected to provide the firepower Van Gaal considers is missing from United’s squad. Van Gaal is determined that next season they will have an attack that can make them serious title contenders. Wayne Rooney, Robin van Persie, Radamel Falcao and James Wilson managed only 26 league goals between them as United finished in fourth place last season. Falcao’s paltry return of four was a telling factor in the decision to allow the centre-forward to return to Monaco following a year-long loan. The Colombian’s departure means the manager requires at least one new top-class goalscorer and with Van Persie’s future also in the balance, that could rise to two. However the situation is fluid as Javier Hernández may return from loan at Real Madrid and finally be given a chance to prove himself.